Accompaniment and active support of young unaccompanied foreign minors to help them the best way during their migratory journey and their integration into the French society. By Geneviève Pierquain and Caroline holy oil of CRES in Mons (Belgium); they spent 2 days in Marseille (France) “The ladies of Providence”, (children social House) (MECS) home “La Galipiote”. 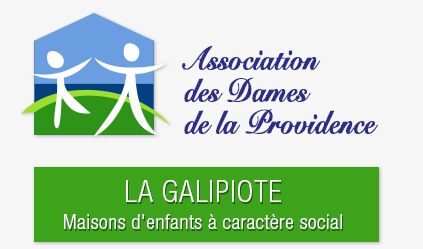 La Galipiote is a safe house that can accommodate 25 boys aged from 14 to 18. These young people are isolated young foreign minors, isolated, from a growing migratory phenomenon and from diverse origins. They come from countries where there are war and ethnic conflicts. Their difficulties are many: social, cultural, psychological, academic, health and family. The support of young unaccompanied foreign minors who are going to be involved in their project is active and is based on important values such as secularism, citizenship and democracy. 1) Learning the French language, culture and traditions. The young people should speak in French and at every moment, the educator will encourage them to express themselves in the language of the host country. They must also acquire the codes of French society. 2) Autonomy acquisition for social integration: the whole House is maintained by young people, everyone is responsible for his laundry and the meals are prepared by young people and educators. 3) Administrative regularization: it is supported by a lawyer but the young person is actor of his project: he must know and respect the law and be occupied by school, work or internships. The motto of the home is “sit yourself but do not rest”. This support is provided by a team of so-called ‘technical educators “. They are hired for their skills and their life experience. Four graduate educators joined the team lately. This work is underpinned by the values that the institution defends, among other democracy. The young person lives in an institution in which he will construed with dignity. He will also acquire a sense of citizenship. Thus, he will be recognized as a subject of law but will also have duties. This will allow access to the life of the city. Secularism is also a master value of the home. Their intimate choices, their religions and their differences will be respected but with the requirement of submission to the law of the French Republic.